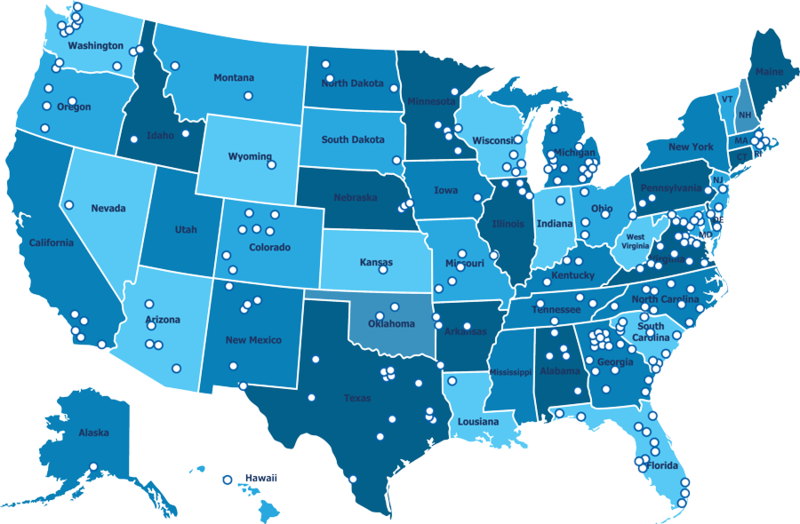 PH&D is part of a nationwide network of distribution centers. Gypsum Management and Supply (GMS) was founded by two partners who prided themselves in building a company comprised of local subsidiary partners who had a vested interest in their business and local communities. This subsidiary is one of many of our local subsidiary partners in our network of more than 200 distribution centers nationwide across more than 40 states. Our unique service model combines the benefits of national scale with a local “go-to-market” strategy. Using an integrated national platform, we operate through more than 40 local companies with solid reputations, strong relationships, and local expertise. Learn more about GMS companies.